It’s been somewhat of an odd year — a rollercoaster kind of season in southwestern Washington, dating back to the opener in mid-October. The geese, at least to me, arrived late, and when they got here, they didn’t come in the numbers I expected based on observations from the 2015-’16 season. (Note: More on that later.) Ducks have been up and down. One day brings limits. Two days later, we’re drawing a blank, only seeing a bird or two. Species have also been fickle, with greenwings one day and wigeon the next, followed by a day of mallards, then more wigeon and then not much of anything. Pintails, so it seems, are finally here in southwestern Washington, but for how long is anyone’s guess. Still, it’s been a good season. Some days, it’s been extremely good. The weather has mostly cooperated nicely, and there have been enough birds to keep me going back into the wet — and some days, surprisingly cold — conditions time and again. But isn’t that what we do? As mentioned, the past 10 days to two weeks have been surprisingly cold. Not the minus 30 bitterness I experienced in eastern Iowa, but lows of about 20 with highs not reaching freezing for a while. Sheet water froze overnight and remained frozen, causing me to point my AquaPod toward a series of tidal sloughs between home and the coast, armed with an eager black dog and greenheads-in-my-face hopes. Unfortunately, and although Sadie Mae’s enthusiasm never waned, the mallards — or anything else — never appeared. In recent days, the weather has moderated, with lows in the mid- to upper 30s and highs in the mid-40s; about typical for this period in western Washington. This normal pattern is slated to continue for a week or so before giving way to below-average temperatures and the possibility of snow. Water levels are about normal and almost identical to this time in 2015. Sheet water between our home and the coast, about 60 miles, is non-existent, forcing birds to the Columbia River, interior streams and saltwater or brackish-water bays and tidal sloughs. Interior rivers — such as the Cowlitz, Kalama, Grays, Deep and Naselle — appear to be at normal or perhaps slightly lower-than-normal flows, with the Cowlitz, Kalama, Grays and others to the north along the coast attracting attention from winter steelhead enthusiasts. There’s some rain in the forecast but probably not enough to alter conditions much. Some greenwings are hanging around my area, but most have moved along, taking the wigeon with them. Oh, there are still some teal and baldpate on the Columbia and saltwater — that is, Willapa Bay — but not nearly as many as there were two weeks ago. Even mallard numbers appear to have declined slightly. The good news is an upsurge in the number of pintails to hit the area the past week. Again, I don’t know how long they’ll stay, but you can bet I’ll concentrate on my two drake sprig for pictures between Christmas and Jan. 1. Although a local gentleman has been enjoying consistent success on bluebills, I’ve seen fewer scaup this year than in 2015. Same with common mergansers. And coots have been almost absent. On the plus side, buffleheads and goldeneyes seem to have done well this breeding season, as have gadwalls and ringnecks, one of my favorites. This past week, I’ve shifted my focus to big Canadas toward the coast. One day, I hunted green fields and the next water, and I’ve enjoyed good success. I might be wrong, but it seems the number of birds — cacklers and various larger geese — is somewhat lower than in 2015, but there are still more than enough to keep my brother-in-law supplied with the main ingredient for his smoked goose jerky. 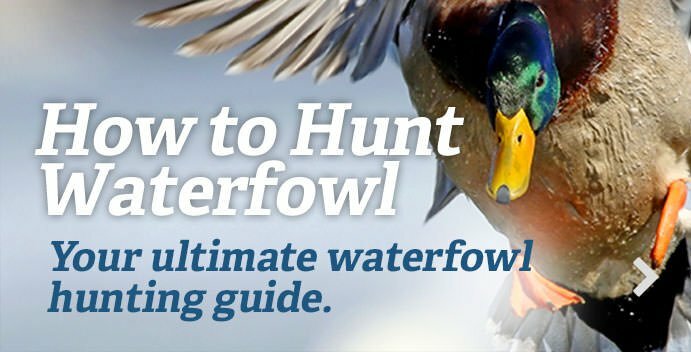 When I’ve hunted ducks, it’s been a mallard show, with a handful of wigeon and greenwing. I’ve yet to specifically target bluebills and other divers on the Lower Columbia, but that’s in the cards within next week or 10 days. It’s surprisingly quiet for this time of year. Folks aren’t hunting, or they’ve learned not to post their exploits on the internet. There’s some activity on the Columbia in Wahkiakum County, but not much. I think some folks, remembering the disappointing 2016 salmon season, have been preparing to fill the freezer with steelhead and readying their gear for Spring 2017. Just a guess. Upland-bird seasons are open until mid-January 2017, and I’m looking forward to making a trip to eastern Washington with Sadie Mae for hunting California (valley) quail and maybe a rooster or two. Keep on keepin’ on. Five weeks of duck season remain here, and then we get into the extended goose season in southwestern Washington and northwestern Oregon, which stretches until early March. Before we know it, April 15 will be here, and we’ll be chasing Merriam’s and Rio Grandes in eastern and south-central Washington. Spring chinook, too, in March and early April. There’s lots to do — and even more to look forward to — in the Pacific Flyway.